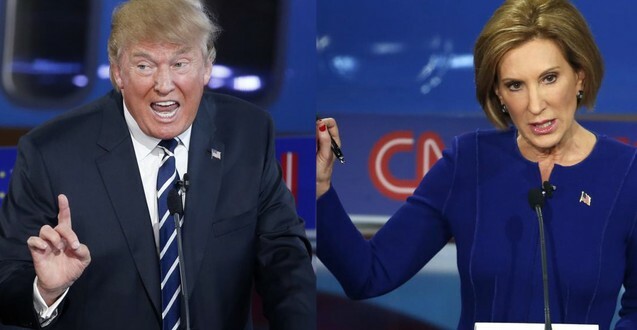 Fiorina Leads Trump In New Poll - Joe.My.God. Donald Trump will certainly want to take a closer ‘look at that face’ now that Carly Fiorina has surpassed him in a new New Hampshire poll. 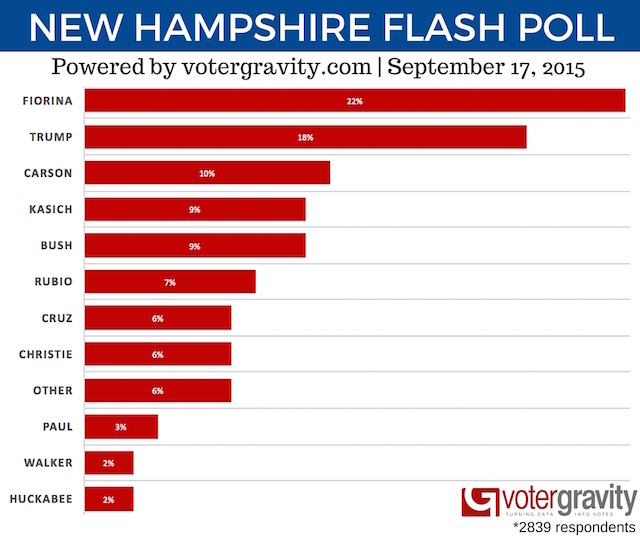 In a Voter Gravity survey conducted the day after Wednesday night’s second presidential GOP debate, Fiorina comes out on top: In Voter Gravity’s latest presidential flash poll through touchtone phone responses, we surveyed 2,839 New Hampshire Republican Primary Voters the day after the CNN Debate, and they put Carly Fiorina in the top spot at 22%. The new frontrunner outpaces Trump by a full four points. Former neurosurgeon Ben Carson took third place with 10 percent, while Govs. Scott Walker and Mike Huckabee came in at the bottom with 2 percent each. Fiorina, the former CEO of Hewlett Packard, has been impressing voters ever since her dominating performance at the first GOP debate on Aug. 6, where she participated in the earlier debate with the bottom polling candidates. Her standout moment gave her a significant rise in the polls and catapulted her to the main stage last week at the Reagan Library.